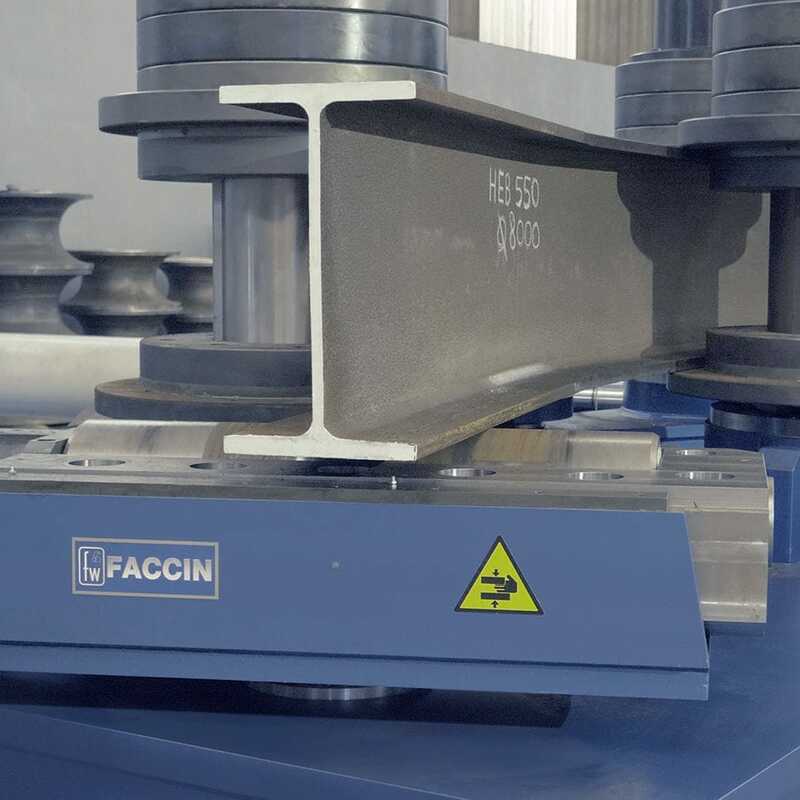 Production Machines > Forming Machine > Hydraulic bending machine > Faccin S.p.A. The RCMI series “double pinch” angle rolls are expressly designed for rolling profiles with high resistance to the bending. 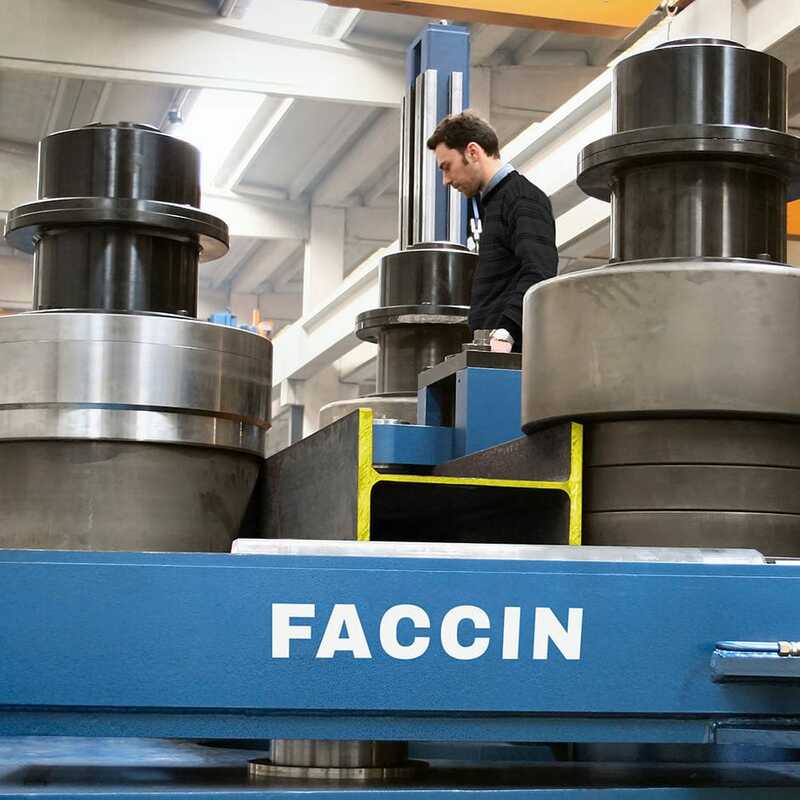 This is the reason why the structures are heavily dimensioned and are built with heavy thickness plates of certified quality steel. They are electro-welded and heat treated to release the internal stresses. The solidity of the structure is in fact an essential parameter to guarantee reliability and precision through the years. The RCMI series angle rolls offers superior quality and includes many accessories supplied as standard equipment. The large series of rolls allows all the standard profiles to be rolled (including beams, columns and channels rolled on edge). 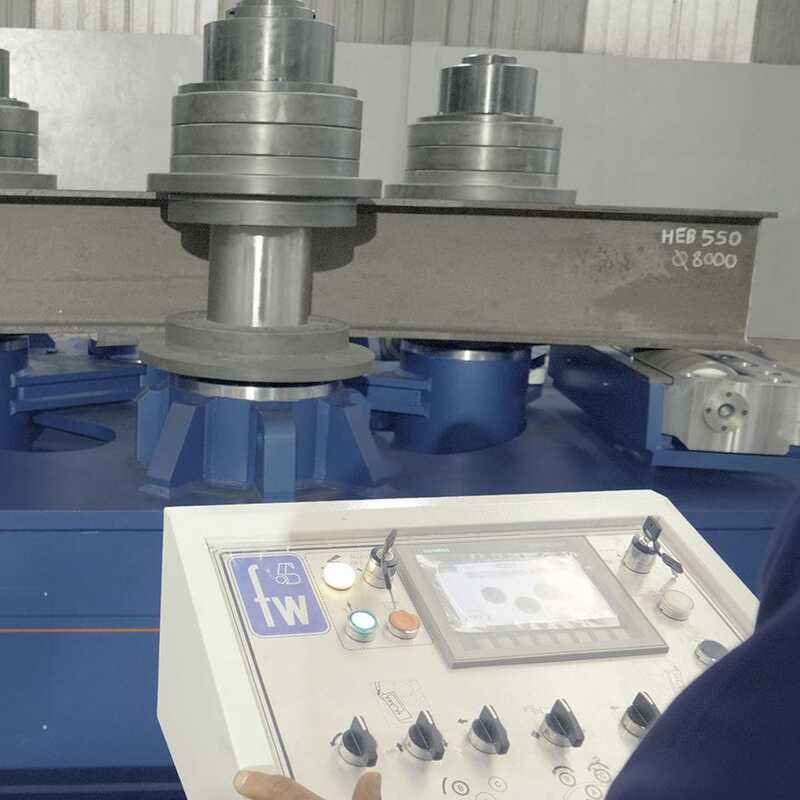 The adaptability of the special modular system of bending rolls guarantees the best possible guide for the profile during the complete rolling process. 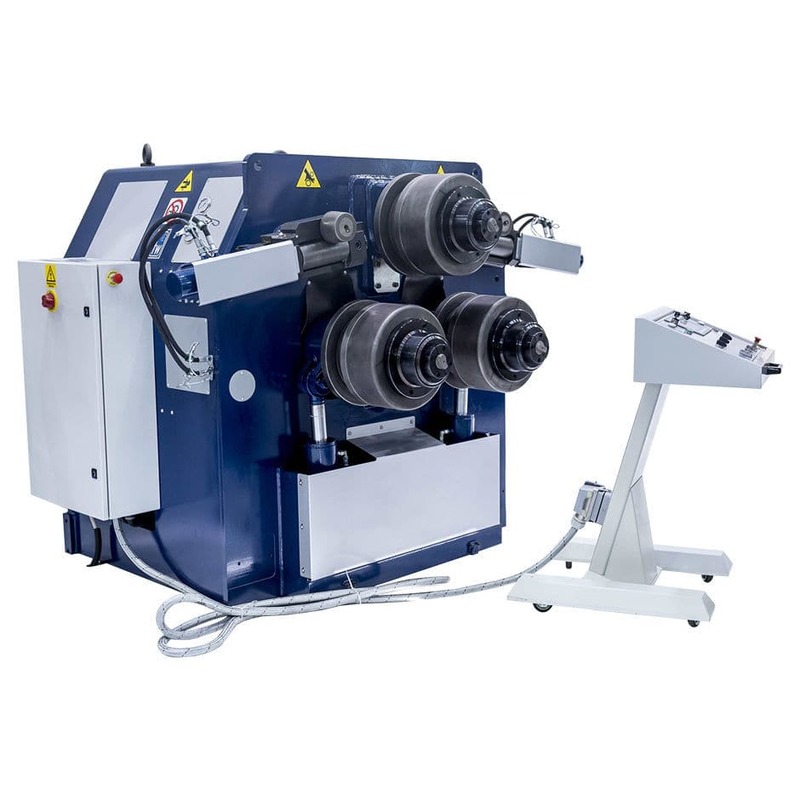 The 2 lateral guide rolls are, as standard, independently adjustable in 6 directions to guarantee the best control of the planetary of rolling, to calibrate diameters and to prevent twisting of asymmetrical sections.